Last year we heard some rumors that Tata Nano Diesel will be launched around November 2011 before Diwali, but it turned out to be just rumors, then we heard that it maybe launched at the Auto Expo 2012, but it again turned out to be incorrect, but this time, its much more than a rumor ! 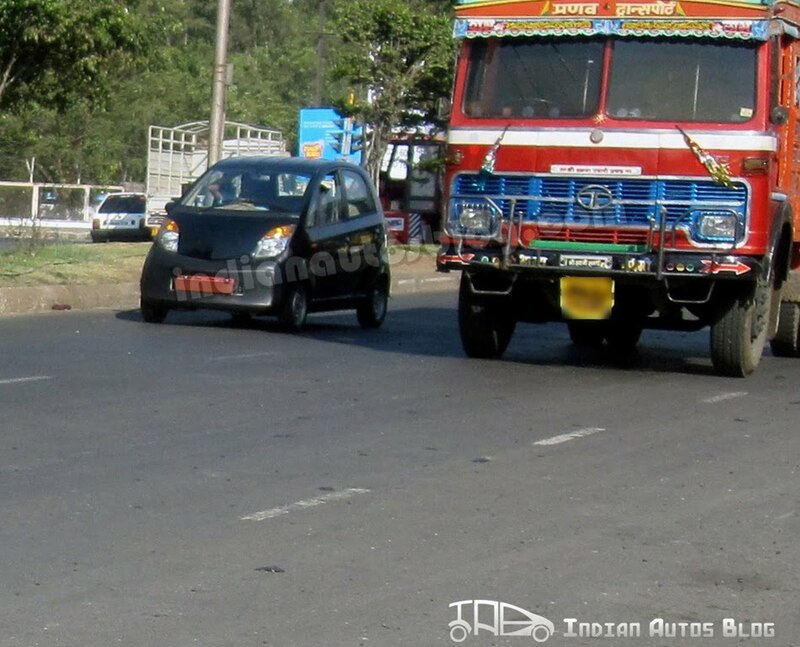 A Tata Nano 2012 in black colour with temporary license plate has been spotted at a Fuel station fueling Diesel ! Yes, Diesel, it was a test mule of Tata Nano Diesel which is under development for quite some time now and has been talked about by Tata officials and Automobile media at times. The Tata Nano Diesel under development, which seems to be in testing phase as of now, is powered by a small and fuel efficient 700 CC Diesel engine which is an advanced CRDI Diesel engine with probably the smallest turbocharger fitted on a passenger car as yet with a diesel engine. The Tata Nano Diesel is expected to return a mileage of close to 40 KMPL which will make it one of the most efficient cars and probably the cheapest cars to run in India as the prices of Diesel are already much lower than Petrol, and moreover even lower than LPG as after the recent hike in prices of auto LPG and CNG. Tata Nano Diesel will have some body changes to accommodate for slightly different engine size and components. From the spy pictures, it seems that the bumpers have been modified and the location of the exhaust pipe has moved from center to side. Nothing is strikingly different on the exteriors when you look from a distance, but a close view may clear the things up. Apart form the new engine and more mileage, the new Tata Nano Diesel which we expect will finally make it to showrooms by Diwali in 2012, will also come at a premium over the petrol version. 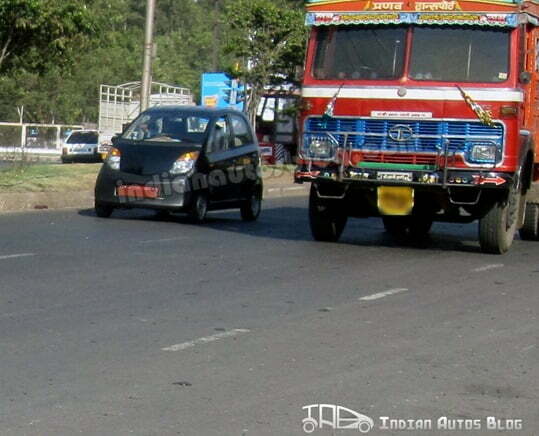 The price of Tata Nano Diesel is expected to be between Rs. 1.7 Lakhs to Rs. 2.5 Lakhs ex-showroom as diesel engines usually cost more than petrol engines which is why most diesel cars with similar features cost more than the petrol counterparts. We will keep an eye on the developments and will keep you posted. For latest updates, sign up for our free email newsletter and also like our official Facebook Page.